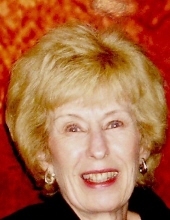 Mrs. Kathleen Marie Waldron, age 72, of Morristown, New Jersey passed away Saturday, February 10th, at Morristown Medical Hospital. Born in Brooklyn, New York, she was the oldest of five children of Theresa and Charles Gaffney of Morristown, New Jersey. She graduated from Bayley Ellard High School in Madison in 1965. She was awarded a BS degree in Sociology from the College of Saint Elizabeth in Convent Station in 1969. She worked as a Probation Officer for Morris County prior to raising her family. For 20 years, she worked for her husband’s business, Waldron Electrical Sales Company. She was a lifelong resident of Morristown and parishioner of The Assumption of the Blessed Virgin Mary RC Church. She leaves behind her beloved husband of 50 years, William J. Waldron Jr. of Morristown, her sons, William J. III and Adam J., her brother, Michael Gaffney and family, her sisters, Diane Gaffney, and Christine Gaffney of New Orleans, LA. She is preceded in death by her parents, and brother, Charles. A Memorial Mass will be celebrated on Saturday, February 16, at 10am at The Assumption Church of the Blessed Virgin Mary, Morristown, New Jersey. In lieu of flowers, contributions in her memory may be made to Bancort of Collingwood, NJ. To send flowers or a remembrance gift to the family of Kathleen M. Waldron, please visit our Tribute Store. "Email Address" would like to share the life celebration of Kathleen M. Waldron. Click on the "link" to go to share a favorite memory or leave a condolence message for the family.